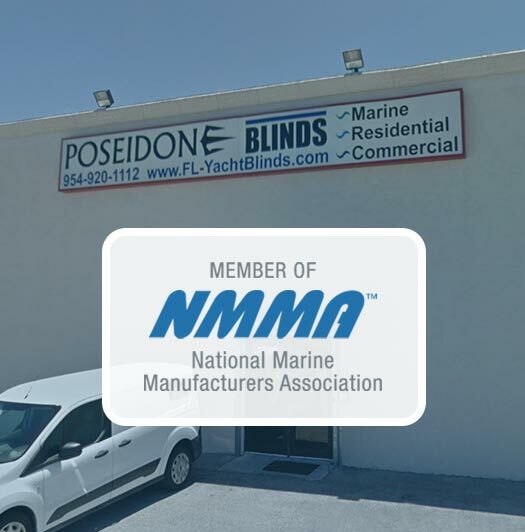 Poseidon Window Treatments is an American family owned and operated business that designs and manufactures window treatments for the Marine, Residential, and Commercial marketplace. Our highly skilled staff understands that above all, good service is what separates us from the competition. Whether you are an interior designer, private owner, OEM, or Poseidon Dealer we will make sure every project is treated with the care and vision our customers have come to expect. We take pride in unparalleled customer service, and believe the hallmark of all great companies is to provide reliable services for their clients. From the initial sale, to the final installation, Poseidon is here to help every client achieve their window treatment needs. By using only the highest quality components and fabrics we guarantee our products will last longer and stay beautiful for as long as you own them. Along with manufacturing our own product lines Poseidon also works alongside various partners like Hunter Douglas, Lutron, Crestron, Somfy, and many others. In doing so, we have always kept ahead of the curve when it comes to the newest technological advances and design decors. Choosing a window treatment company is typically the final decision to complete any given project. Make sure your last choice is the best choice.